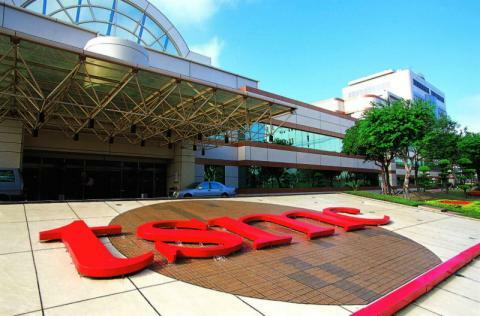 According to reports, Taiwan Semiconductor Manufacturing Company (TSMC) is aiming to start producing embedded RRAM chips in 2019 using a 22 nm process. This will be initial "risk production" to gauge market reception. TSMC also aims to start embedded MRAM chip production in 2018. Panasonic announced a new partnership with Taiwan-based United Microelectronics Corp (UMC) to co-develop and produce RRAM devices. The two companies aim to use a 40nm process to produce RRAM chips that consume one-seventh the power of today's NAND flash memory. Panasonic will be in charge of designing the chips, and the two companies will co-develop the microfabrication technologies. Actual production will be done at UMC. The two companies plan to start shipping samples in 2018 and mass produce RRAM chips by 2019. The first RRAM devices will be embedded in microcontrollers. In March 2016 Crossbar announced its strategic partnership with Semiconductor Manufacturing International Corporation (SMIC) to co-develop and produce RRAM technologies. Crossbar now says it started to sample embedded RRAM chips from SMIC. SMIC, China's largest semiconductor foundry, is using a 40nm process, and Crossbar says that it plans for a 28nm process - and even 10nm or lower down the road. The chip design uses non-conductive amorphous silicon (a-SI) technology. Crossbar's chips can either use a 1T1R architecture (1 transistor per RRAM, which offers the lowest latency and so useful for embedded memory and caching) or 1TnR (which uses up to 2,000 cells per transistor using a crossbar scheme - which makes for higher density chips useful for storage). 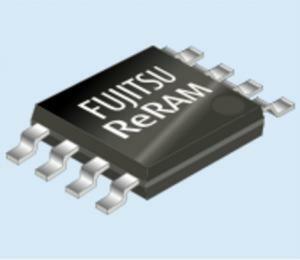 Fujitsu Semiconductor launched its first RRAM chip, the 4Mb MB85AS4MT. Fujitsu co-developed this Chip with Panasonic Semiconductor Solutions, and the company says that this is the world's largest density mass-produced RRAM product. The MB85AS4MT offers an SPI-interface and operates with a wide range of power supply voltage, from 1.65V to 3.6V. It features an extremely small average current in read operations of 0.2mA at a maximum operating frequency of 5MHz. Fujitsu says it is aimed for battery operated wearable devices and medical devices such as hearing aids and IoT devices such as meters and sensors. Western Digital announced that its 3D RRAM development is "finished" (this developed started by SanDisk, which is now owned by WD). WD's current plan is to release memory products based on 3D RRAM in 12-24 months - in the same fab that produces flash (NAND) memory. 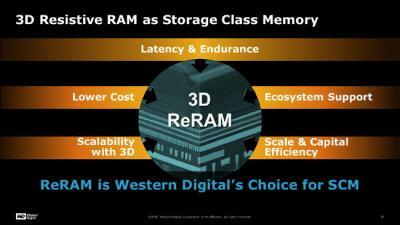 Western Digital will at first aim to use RRAM in "specialized" SCM memory devices, but the plan is to scale up RRAM to eventually (2020?) become a "Universal Memory". Crossbar announced a strategic partnership with Semiconductor Manufacturing International Corporation (SMIC) - China's largest semiconductor foundry. The two companies agreed to co-develop and produce RRAM technologies. Crossbar says that as the company enters the licensing phase, it is honored to collaborate with SMIC - which is a major stepping stone towards its RRAM technology commercialization. 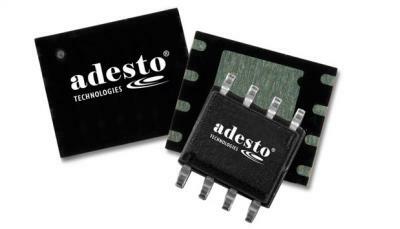 Adesto Technologies introduced a new CBRAM (a type of RRAM memory) chip family, called the Moneta. These are ultra-low power memory solutions, designed to reduce overall system energy use in connected devices. Moneta chips perform read and write operations at 50-100x lower power than competitive solutions. The company is now shipping samples in four densities: 32Kbit, 64Kbit, 128Kbit, and 256Kbit.